The subject of disability is one that is mostly misunderstood by the general public. While some disabilities are truly life limiting, other disabilities only limit a person’s abilities in certain areas of functionality. With this in mind, the help a disabled person needs is a question of how their disability actually limits their ability to carry out normal every day activities. In this respect, help means very different things for different disabled people. Many disabled individuals are actually fairly independent in their ability to function. Often all your family member might need is help getting employed. Their disability may be seen by an employer as a barrier to overcome when in reality it is not as limiting to their performance as a misinformed employer might want to believe. Help for your disabled family member may require nothing more than helping a potential employer realize that such a person will be an excellent addition to their company, instead of someone to hold back from employment because of outdated perspectives on disabled people in the workplace. For your particular disabled family member, it might be one or more simple daily tasks that prove to be a major challenge for them to execute. This could be something simple like a blind person needing help reading their mail, or a person in a wheelchair having difficulty with cooking, cleaning or other routine chores. Your family member might simply need help from a part-time attendant who comes in to make sure that certain daily tasks are not being neglected. Otherwise, these disabled people will typically get along fine in other areas of their life to which they have well-adapted. Certain disabilities are going to have a deeper impact on overall personal functionality than others. A person who is paralyzed from the neck down is going to need far more attention and care than even a visually impaired child that can still see well enough to get around on their own, for example. In the former case, knowing which government programs can be leveraged to provide the required disability care is critical to improving your severely disabled family member’s quality of life. 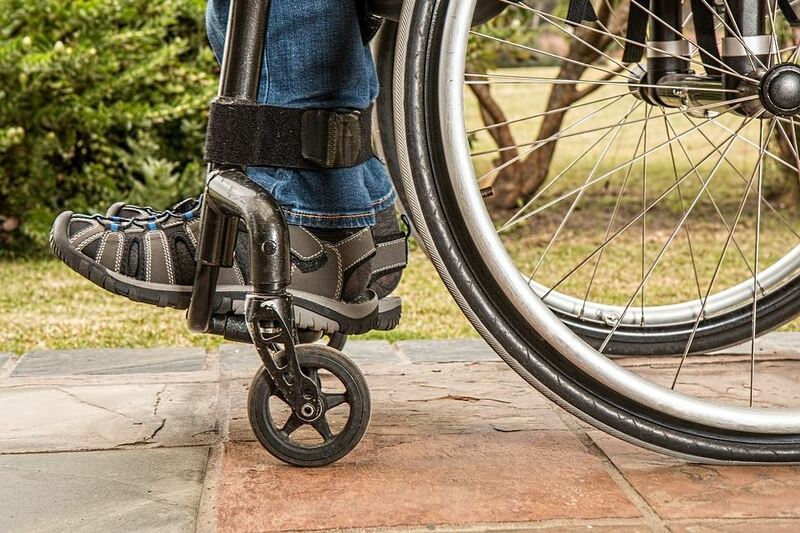 It is important to speak with doctors and relevant disability-related advocate groups to find out what programs are actually available that could also help to reduce the burden their disability places on themselves and other family members. One of the aspects of helping a disabled family member is in making sure they have a strong network of family, friends and even professional support they can turn to live as normal of a life as possible. Often this central idea is overlooked or neglected. As a result, when their family is no longer around to take care of their needs, disabled individuals find out the hard way that not developing such a network leaves them isolated and without the ability to function as normally as they once did. It is true that your disabled family member will need some help to overcome challenges thrown their way. The degree of help they will need will heavily depend on their ability to accept their disability and adapt to a way of life that makes them functional in society. For some disabled individuals this is going to be more difficult than for others. So, you must expect that your disabled family member’s needs will not be met with a one-size-fits-all solution, because not all disabled people face or even handle their disability the same way.